Well, the name simply asks for it. 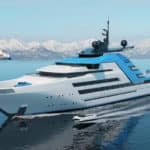 The renowned Norwegian yacht designer Kurt Strand has just unveiled his latest superyacht concept, a gorgeous 122-meter explorer inspired by Mother Nature’s wonders, that was beautifully named Aurora Borealis. 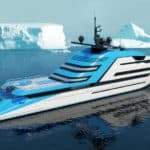 Aiming to take you to the world’s farthest corners, this spectacular vessel is equally amazing on the inside, with a luxurious atmosphere that will make any passenger forget about harsh conditions, distance from home or any other problems. 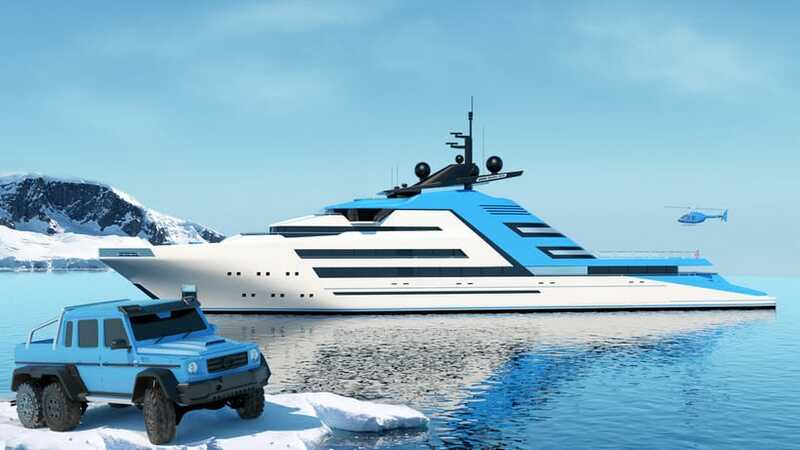 When the weather outside is pretty nice, this innovative yacht concept can transform itself to offer an incredible open outdoor experience. 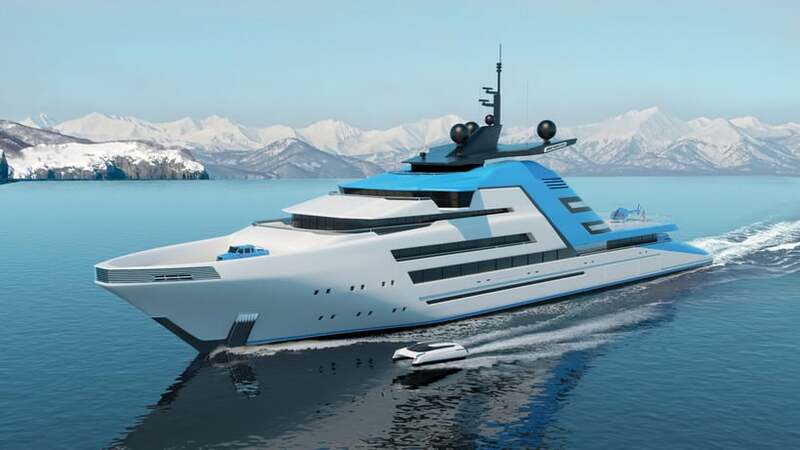 Retractable balconies and large gates open up the entire vessel, making this gigantic superyacht an explorer worth boarding, regardless of your destination. 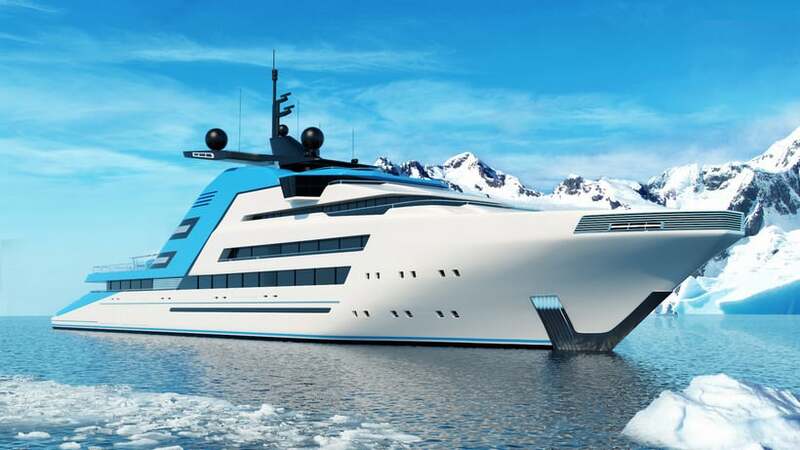 Spreading over 6-stories, the 122-meter vessel before you also packs a large helicopter pad, and a massive swimming pool with a retractable glass floor. 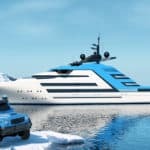 The yacht also comes equipped with a cinema, beauty salon with spa, and a small gym, and if you’re thinking about water toys, there’s a drive-in bay area in the aft, with room for a submarine and a 45-foot tender. 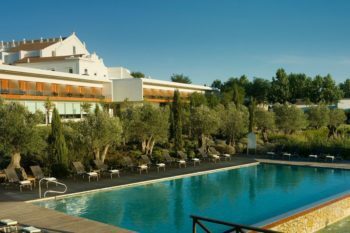 The owners of this beauty will get to enjoy a massive 400-square-meter suite, including a private outdoor jacuzzi, sun lounge area, gym, spa, and office. 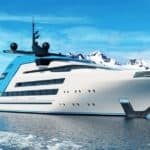 Apart from that, eight 100-square-meter VIP suites will allow as many as 20 guests to join them on a wild ride to the world’s most unique corners. 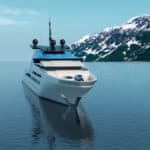 Packing a next-generation, environment-friendly propulsion system, the Aurora Borealis features 3 electric azimuth pods powered by hydrogen fuel cell generators. Are you ready for a trip of a lifetime?